Redeeming a LeCode gives you the priority over others to purchase our limited supply products. A LeCode can be redeemed 24/7 by entering the LeCode associated with the specific limited supply product. Currently, the LeMall IN site only supports orders shipped to India (to addresses within our delivery range). So LeCodes issued by the LeMall IN site may only be used for orders shipped to India (to addresses within our delivery range). If you receive LeCodes issued by LeMall Mainland China, US or Hong Kong, they are not valid on the LeMall IN site. Please visit the LeMall Mainland China, US or Hong Kong sites and check their respective LeCode policies prior to ordering. Le Code purchases are separate from General product orders, Flash sale orders and other offers run on LeMall IN. All purchases made using Le Codes are rendered ineligible for any and all offers that may be in effect on LeMall IN. How do I get a LeCode? LeCodes will be given out via social networks and LeMall special promotions. 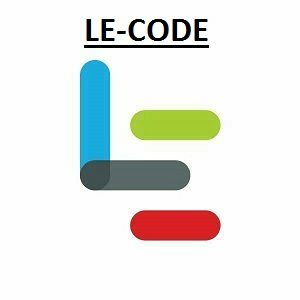 You can find out more about LeCode by following our official Facebook and Twitter accounts. Hey guys today i want to share with you guys my experience of using a LeCode to do my first purchase on LeMall. First of all to those of you who dont’t know what is LeCode and how to use it you read all about them in this article by @LeMeIndia.Now How did i get this LeCode? I won it in the giveaway organised by LeMe India in the forum itself. After the giveaway result was announced, i was thrilled to find my name in the winner list , but the after the initial excitement was over, i though now i would have to wait probably a month to receive the LeCode promised by LeMe India, But to my surprise next day when i logged into forum i saw a shiny LeCode waiting for me in the my personal message box. It was a pretty refreshing experience to receive a prize so quick after a contest, because usually other companies take months to deliver the prize, and sometimes they don’t deliver them at all(u guys know which company i mean by this. ). Now as far as using the LeCode is considered the experience was smooth as silk,all i had to do was Log in to LeMall website and go to the LeCode section, and enter the LeCode provided earlier by @LeMeIndia and then just select the colour of the headphone that i wanted to order and boom the order for a brand new Le Bluetooth Headphone was placed. Now coming to the headphones , in one word they are awesome. I ordered the Red colored Bluetooth Headphone, and the look of the headphone is absolute stunner, it’s bound to catch everyone eye with it’s sleek design. It’s quite comfortable to wear for long hours, and coming to the sound performance the sound is good except for the bass which is a bit low, except for this small thing everything else is top notch. Setting it up with my LE 1S was breezy job, the battery performance of the headset is also good. In short this is one of the best bluetooth headphone that one can buy in this price bracket. So #superfans stay active at the forum and you too could win a LeCode and get your hands on awesome new gadgets.